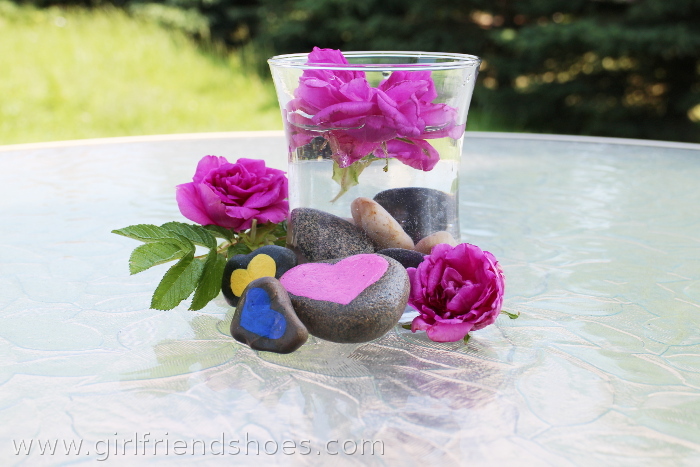 I cut a couple of flowers off the wild rose bush in my yard and put the biggest one in a clear glass vase and sat a few painted rocks around it which I painted with acrylic craft paint and then sealed them with a clear acrylic sealer so it won’t wash off in the rain. This will do for now, a simple centerpiece with a whole lot of color. 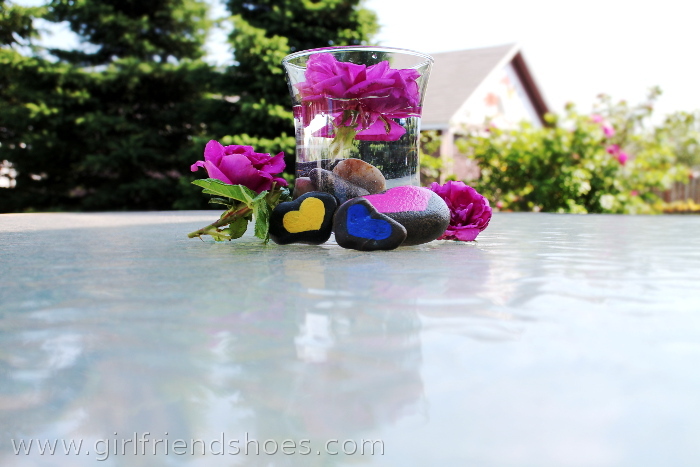 What about painting the patio set, lime green and pink or perhaps lavender and something?